If I have any readers in the southern hemisphere, feel free to switch the word “autumn” for “spring” in today’s post. A lot of what I’m about to say can apply to the shift between other seasons as well with a little tweaking. In fact, maybe I’ll revisit this topic from that angle in six months once Canada shifts to spring weather? I won’t make any promises, but I will keep this idea in mind for the future. In the meantime, this is why I think everyone should be taking note of the autumn equinox tomorrow. Over the last few years I’ve begun to pay more attention to the two solstices and two equinoxes we have each year in an attempt to remain mindful no matter what season Ontario is currently experiencing. There are parts of this time of the year that I deeply enjoy and other parts that I’m not such a big fan of, just like there are things I like and dislike about winter, spring, and summer. One of the things I’ve enjoyed the most about practicing mindfulness has been how its adjusted the way I see the world at the end of a season when I’ve grown tired of the snow, rain, or heat. This, too, will pass if given enough time. 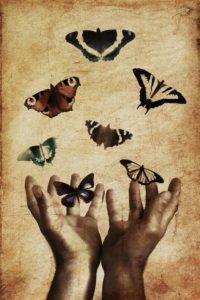 Nothing lasts forever, so it’s a good idea to settle into it while it is here and find the good in whatever it is that’s happening right now. When I was a teenager, I noticed that my grandfather read a lot of books about World War II. While he wasn’t old enough to serve in that war, he was definitely old enough to remember it when it happened. Instead of asking him why he read about a period of history he’d personally experienced, I decided to quietly pay attention to what he kept on the stand by his favourite chair to see if I could figure out the answer myself. Most of the books he read were about history in general. Many of them were about things that happened decades or centuries before he was born. I think I also remember seeing books related to farming, fixing machines, and other practical topics that applied to his lifelong work. What I learned from this experiment is that there’s always something new to discover no matter who you are or how much you already know about a topic. So far the autumns of the 2010s have been warmer than most of the ones I remember from my childhood thanks to climate change. While some of this may be part of the natural process every mind goes through when it decides which memories to keep and which ones to toss away that may have distorted my memory of what September should be like, I also think there is something to be said for paying attention to how weather patterns have shifted over time. Someday someone might want to hear our stories about what it was like to watch the world grow warmer than its ever been before. We’re living through a part of history that is going to be discussed for many generations to come. I’m not a huge fan of celebrating most of the big holidays hat happen between now and January, but I sure do love seeing all of the pretty decorations for them. Hallowenn, Thanksgiving, Chanukah, Christmas, Eid, harvest festivals, and many other holidays bring out the creative side of people. The nice thing about living in Toronto is that we get to see decorations for just about every holiday known to humankind during this time of the year. If any group of people celebrate it, a few of them are almost certain to live here. I am often amazed by just how much thought people put into the decorations they choose for the holidays their families celebrate. For example, look at the gigantic scarecrow above this paragraph. I’ve never looked at a bale of hay and imagined it could be repurposed as a friendly face, but that concept works beautifully here. 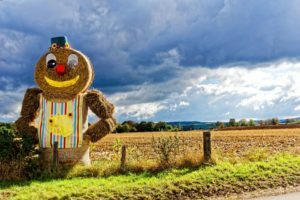 The outfit this scarecrow is wearing looks like something that could be hemmed together fairly easily and inexpensively, but the joy he or she brings is immeasurable. If this is something you find pleasure in as well, now is the perfect time of the year to begin looking around and seeing what kinds of wonderful decorations will begin to pop up in your area. 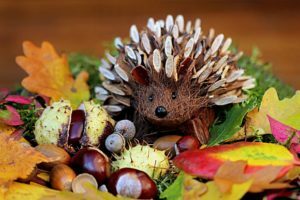 How you celebrate the autumn equinox is up to you, but I hope you’ll consider acknowledging it as the seasons change.